One of our readers emailed us seeking assistance because her Samsung Galaxy Note 3 started taking pictures sideways. Honestly, the first thing that comes to mind is the orientation. If the phone’s display was set not to auto-rotate, this problem may happen. If you have other problems with your phone, visit our Samsung Galaxy Note 3 Troubleshooting page as it contains hundreds of issues we addressed before. Find problems related or the same as yours and try the solutions we provided. If they won’t work for you, you can always contact us. Just fill up this form and hit submit. Try to include as much information as possible so we can make our solutions more accurate. The purpose of this troubleshooting is to determine whether the problem is caused by misconfiguration in the Display settings or something else. The steps I used here are all safe for your phone and data but it’s up to you if you follow them or not. As usual, we start from basic troubleshooting and progress to more complicated ones if necessary. If the display is set not to auto rotate, the camera may take pictures upright or sideways and in this case, it’s the latter. So, this must be the first thing you need to check. Make sure the checkbox next to “Auto rotate screen” is ticked. Alternatively, you can just swipe with two fingers from the top of the screen going down to pull down the Notification panel. From there, you can turn on or off Screen rotation; if the icon is neon green, it’s on, otherwise, it’s off. Once you’ve verified that screen rotation is enabled, try to open the Camera and snap a picture or two in portrait mode and see if the output is still in landscape, and if so, then proceed to the next step. First, I assume that you are using the stock Camera app, if not, then uninstall third parties. There have been reports of problems like this and based on testimonies of owners who experienced it, clearing the cache and data will do the trick, and it does make sense. Clearing the data will reset the Camera app to default settings and deleting the cache will force the phone to create a new cache for the app. Choose Settings, and tap General tab. Scroll to the right to display contents of ALL screen. Scroll down to find Camera. Now tap the Clear Cache button. This will isolate the problem but it will give you an idea whether or not the problem is caused by a third-party app or not. It’s necessary to do this so don’t skip this step. ‘Safe mode’ will display in the bottom left corner of the screen. 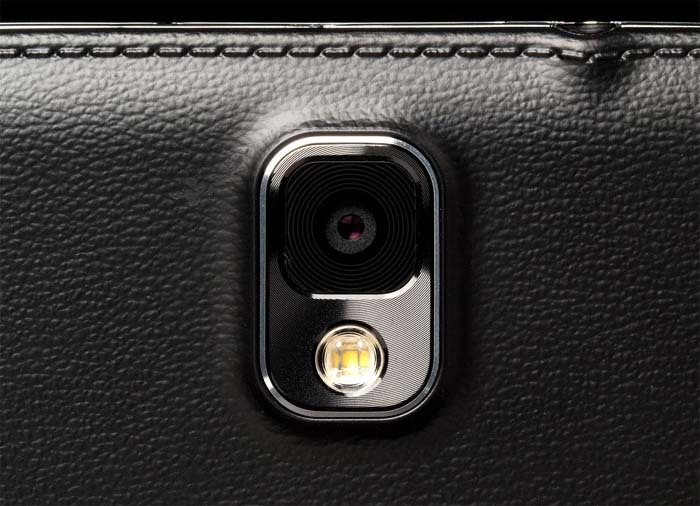 Once your Note 3 is in safe mode, try to take pictures to see if they still sideways. If the problem was fixed, then an app or some apps might be causing the problem. Find out which app it is and uninstall it to fix the problem. If you don’t have any idea, then proceed to step 5 immediately. However, if the problem remained in safe mode, try step 4. The Camera app is pre-installed on your device and since you already cleared its cache and data and the problem wasn’t solved, then it’s time to wipe the directory that stores all caches including that of other services. The issue might not be just because of the camera app but also with other services. Once your phone has rebooted, try once again. If this step failed, then step 5 is the end of it. Now that you’ve cleared the cache and data of the app, made sure auto rotation is enabled and emptied the cache partition to no avail, it’s time for a more complicated procedure that will delete all your apps, bring the phone back to its factory settings and reformat the data partition–full hard reset. Before you actually follow the steps below, make sure you backed up every bit of data that you don’t want deleted. You may transfer them to your microSD card. I hope this procedure fixes the problem for you because if not, it’s time you brought it to a technician; it might be a hardware issue. and that might have done it with no ill effects what I can see. I suspect the issue came from trying out a selfie stick with bluetooth remote control. Cannot explain why but the rotate issue began after that. Step 2 fixed the problem for me!!!!. I did restart phone after doing that, not sure if that was necessary. My galaxy note 4 have a problem. Your instructions were perfect. I don’t know how it started, as I am always being blamed for doing something to the phone I did nothing. Taking out the battery, pressing the start button while the battery was removed to assure all the remaining electric was depleted, and also deleting cache under the camera app setting worked and my camera now has the screen rotation mode restored, and no longer takes pictures upside down. I am not sure what caused it to begin with, but, I am very glad that it works properly now.